This information session will provide you with an opportunity to ask questions and get all the information you need before applications open for the MaaS Innovation Challenge. Please note that the information session will be recorded and the video will be made available post event. Registrations will open from Wednesday 6 June and close on Monday 9 July. The #MaaSChallenge is the first challenge being posed by the Transport Digital Accelerator Team and being run and delivered by the Open Data and Innovation Team. For all enquiries, please contact maaschallenge@transport.nsw.gov.au. We welcome all submissions of viable options for MaaS. It is expected that teams are incorporated and are able to engage in legal and/or commercial terms with Transport for NSW. 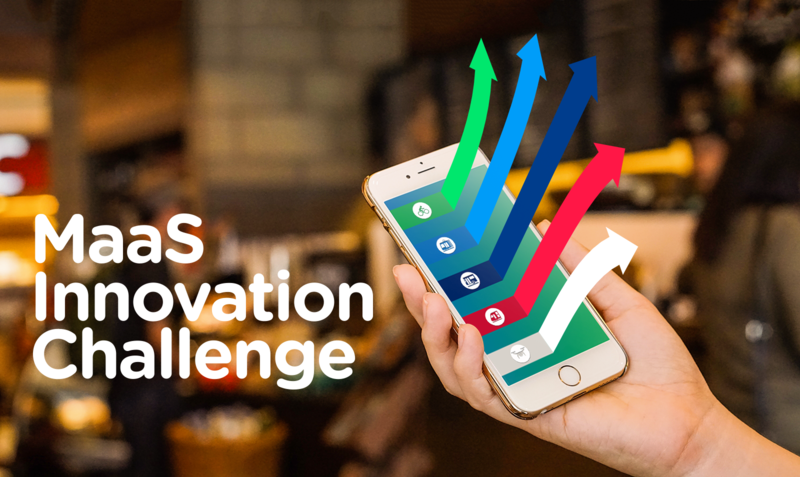 Employees and the immediate families of employees of the Transport for NSW cluster - including Transport for NSW, Roads and Maritime Services, Sydney Trains and NSW Trains - are not eligible to enter the innovation challenge competition. A: MaaS is an acronym for Mobility as a Service. MaaS is the concept that all travel options can be accessed through a single platform or app, allowing customers to have the ideal travel experience by empowering them to plan, book and pay for their travel in one place. Q: Why is the MaaS Innovation Challenge being run? A: The Future Transport Digital Accelerator has identified Mobility as a Service as a key global transportation trend that has the potential to reduce individual vehicle ownership, enhance the efficiency of the transport grid and significantly improve customer experience for commuters in NSW. As a result TfNSW is looking to collaborate with innovators who are interested in creating MaaS solutions and taking advantage of a significant commercial opportunity in the future of transport. Q: What is the Future Transport Digital Accelerator? A: The Future Transport Digital Accelerator facilitates direct collaboration between the public and private sectors, connecting teams from the NSW Transport cluster with industry, researchers, entrepreneurs and startups in the digital space. Unlike a traditional accelerator program the Future Transport Digital Accelerator does not take on startup cohorts, instead it runs targeted engagements and innovation challenges that are designed to support innovative companies to develop solutions that will shape a better transportation system. Q: What is being offered as part of the challenge? A: Transport for NSW is offering the public an opportunity to collaborate with stakeholders and industry partners to provide MaaS solutions for NSW. Benefits for successful MaaS Innovation Challenge applicants include options for seed funding, product endorsement by TfNSW, access to subject matter experts, data, APIs and significant commercial opportunities that stem from solving a real transport problem. Work with TfNSW to develop world leading solutions and contribute to the future of transport in NSW. Further details about the support available for winning applicants will be provided at the information session. Q: How will the challenge work? A: An information session will be held on Wednesday June 6, 2018 at the Sydney Startup Hub and will be recorded and published on the MaaS Innovation Challenge webpage. This session is designed for interested parties to ask questions and get information before applications are due. Applications will open on Wednesday 6 June 2018 and close on Monday 9 July 2018 at 11:59pm. Potential applicants will have the opportunity to meet key subject matter experts at the information session to help develop their submission. Once applications close, they are assessed and ranked by a screening panel. Teams will be selected to progress to the next stage of the challenge where they will be invited to pitch their ideas to the judging panel as part of the Pitch Day. Successful teams will be invited to incubation. Incubated teams may receive funding, office space at the Sydney Startup Hub and access to subject matter experts. Teams who successfully complete the incubation stage will then be assessed for endorsement. Q: What will the judging criteria be based on? A: More information about the judging criteria and format of the challenge will be provided at the information session. Details will also be published from Wednesday 6 June 2018 on the official MaaS Innovation Challenge website through which submission will be made. Generally, Transport for NSW endorsed products are required to meet Endorsement Criteria, including factors such as 1) Customer Experience and Usability - is the solution appealing, effortless, intuitive and easy to use?, 2) Market Feasibility - Does the solution demonstrate knowledge of Transport’s customer base and will it be available to most people?, 3) Innovation - Is the product unique and original, and does it demonstrate tangible technical innovations?, 4) Commercial Sustainability - Can the idea sustain its commercial momentum? Is it likely to be profitable in the long term?, and 5) Technical Feasibility - Can the team deliver the solution? Can they demonstrate an understanding of technical inputs to solution development and ensure ongoing technical stability? Q: What is the best way to connect and stay up to date? Applications will be open on the official MaaS Innovation Challenge website from Wednesday 6 June 2018. Please ensure you register and attend the information session or subscribe with your email address to be advised of key events and news about the challenge.